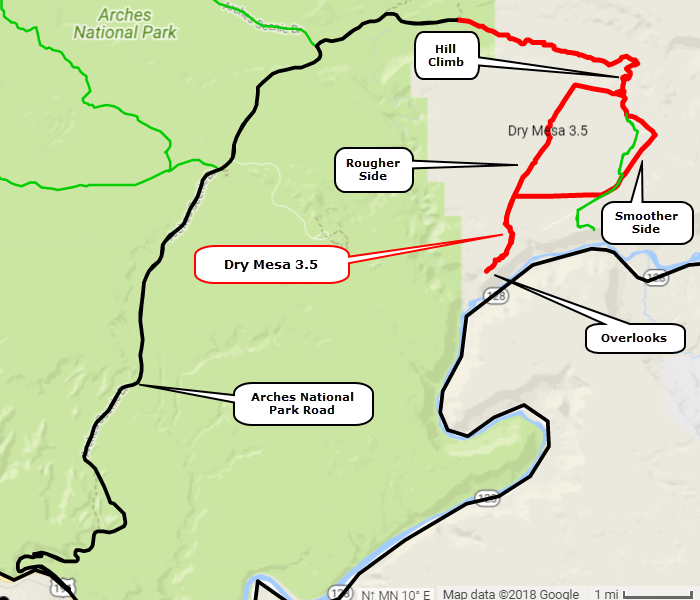 The Dry Mesa Jeep trail takes one to a corner of the Moab landscape one seldom sees - one used only by Jeeps and not by ATVs or buggies because of the Park access. Dry Mesa is bounded by Salt Valley Wash, Cache Valley, and the Colorado River. 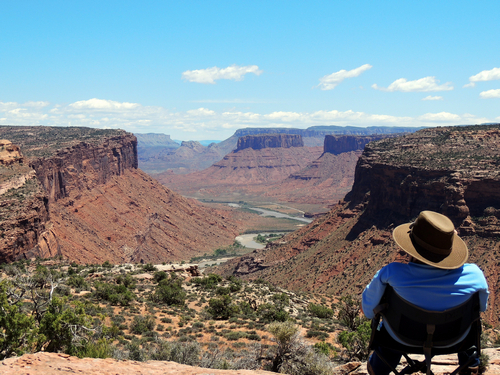 The top is a desert tableland, but with more grass than is usual around Moab. 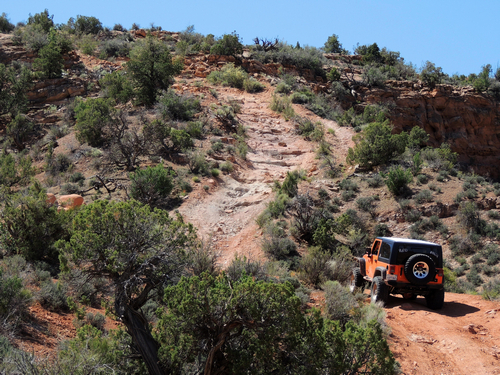 The rating comes from a single spot—the hill climb to the top of the mesa. 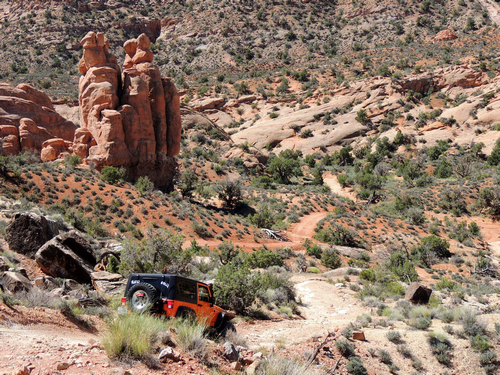 The route includes a trip through Arches National Park (Fee) to the parking lot for the Delicate Arch viewpoint. The dirt road starts here and proceeds up Cache Valley until the Dry Mesa Trail turns right. At the top of the mesa the trail makes a counter-clockwise circle with a branch out to overlooks of Professor Valley on the Colorado. These viewpoints are the highlights of the trip. This photo is from the first one you come to. Make sure to go to the end of the track and hike to the knob for fantastic views in all directions. The short section prior to the hill climb is very scenic. The hill climb has one set of ledges that give the trail a solid 3.5 rating - some might call it 4.0. The top of the mesa gives some nice distant views, including an unusual view of the Windows area of the Park from the east, and Delicate Arch if you have a sharp eye.